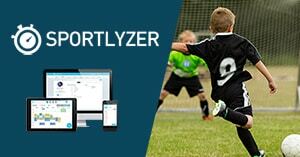 By default, Sportlyzer uses 4 different training zones to determine and guide your training. Sports scientists have discovered that 4 zones are enough for a variety of sports and still easy to remember. PS: Here you can find more information about heart rate zones in Sportlyzer and how the athlete can configure his/her training zones. If you prefer a custom heart rate zone configuration for the athlete, you can visit the "Training zones" section of the athlete's profile and edit the values and number of zones. When you edit the zones, the changes will take effect from the date of change. All workouts logged before that date will be displayed in the previously used zone system. If you use Sportlyzer's default zones, your training zones can be automatically calculated from your workout's duration and subjective effort (useful in case you can't record your heart rate). If you use your own training zone system and want to get intensity analysis, you always have to log your time in zones by syncing with your heart rate monitor, importing a training data file or entering the minutes in zones manually. Here you can see the Training Zone section of your account. You can create custom zones by clicking "Edit" on the top-right of the panel and selecting the "I want to use custom zones" checkbox. Now you can add, remove and rename your custom zones. Please give each zone an abbreviation so the athlete can recognize it when he/she has to fill them in a workout. The heart rate configuration changed and so did the heart rate chart below the training log. When the athlete enters workouts manually, he/she has to enter his/her heart rate distribution manually. These fields will appear when entering a new workout. Imported workouts and workouts, which are synced from a third party platform are automatically analyzed and read. E.g. when an athlete syncs a running session from Garmin Connect, Sportlyzer will automatically read the heart rate data and calculate the time in the custom heart rate zones. How awesome is that?